3. Once inside your Opportunity, locate the content you would like to revise and select View. When the content will expire if no action is taken. 5. In order to request a change regarding a specific word or sentence of the content, simply highlight the text and an Annotations box will appear where you are able to add your feedback. Make sure to click the Add button or your feedback will not be added. 6. 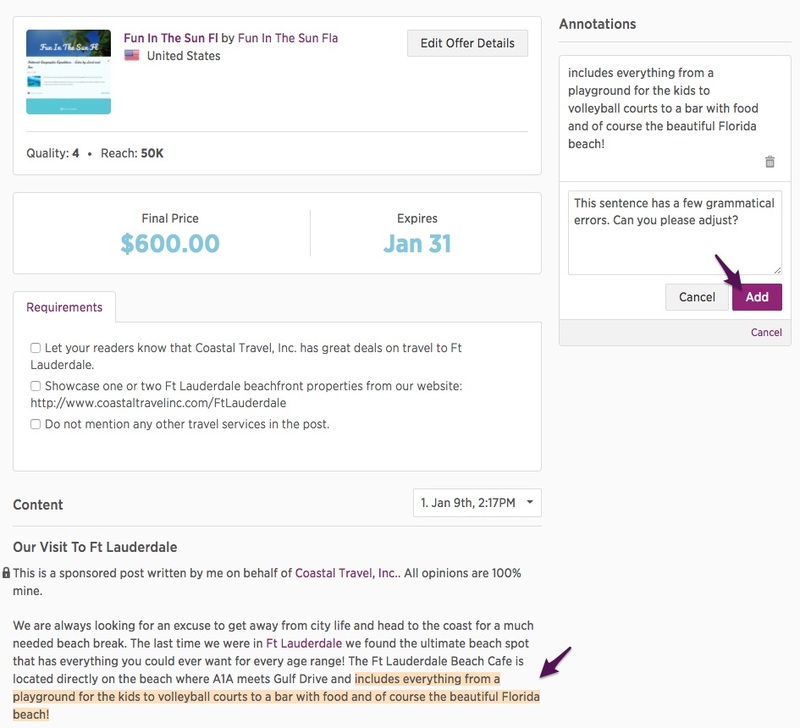 As you add multiple annotations, they will stack on the right-hand side of the content. 7. Once your Annotations have been added, you can scroll to the bottom to click Request Revision which will prompt a box to include general revision feedback to the Creator. Click Submit to send your feedback to the Creator. 8. Once your revision has been sent back to the Creator it will move to your Waiting for Revision tab.